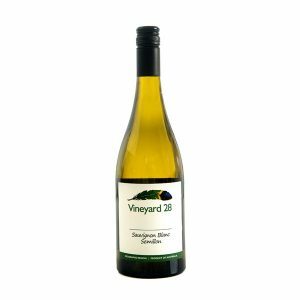 Here at Vineyard 28 we are very pleased to announce our new wine releases – available at the cellar door now and online. 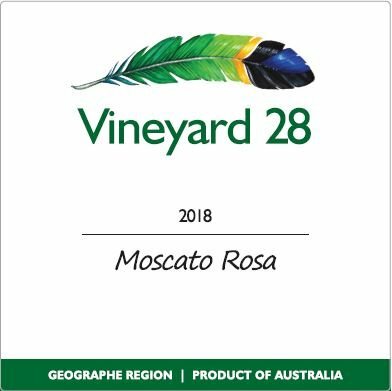 2018 Moscato Rosa – our scrumptious refreshing sweeter style. With a lovely blush hue, and yummy apricot flavours on the palate, this is a wine to be enjoyed as an aperitif with fresh fruit and cheeses or maybe splash it over a few peaches, leave to soak and enjoy with a scoop of homemade vanilla ice cream. 2017 Cabernet Sauvignon – a staple of our range. Consistently full of rich berry and jammy fruit flavours. Ruby red as always, finishing dry with lovely soft tannins. Drinking nicely now, but will also benefit from some ageing. Pop over to our BUY WINE page to order your selection now. 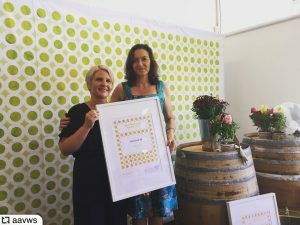 Gourmet Village – Leeuwin Estate Winery, Caves Road. At the heart of Margaret River Gourmet Escape is the must-see Gourmet Village. It’s a buzzing world of culinary excitement and the perfect opportunity to experience the delectable delights that Western Australia has to offer. 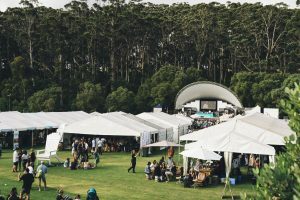 Held at the Leeuwin Estate Winery over 2 days, the Gourmet Village is where all the culinary stars come together. An action-packed weekend filled with cooking demonstrations, wine tastings, masterclasses, intimate Q&As and panel discussions. Catch them at the Chef’s Amphitheatre, wine and beer tastings and book signings throughout the weekend. Not to be missed are also the West Australian restaurants that showcase some of their signature dishes and all the local artisan producers, wineries and breweries. Arneis, Dolcetto, Moscato, and Nebbiolo. Join us, along with other artisan wine producers in rubbing shoulders with chefs Matt Okine, Rick Stein, Nigella Lawson, and Monica Galetti, just to name a few. Exciting Show Results at the Geographe & WA Alternative Varieties Wine Show. Mark came away a very happy winemaker from this years Wine Show. Mark, Vineyard 28 accepting the Award for Best Geographe Sweet Table Wine from Sponsor Laser Electrical. 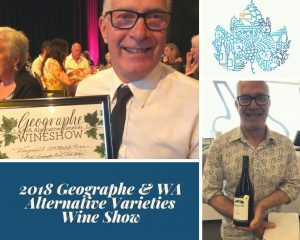 The Geographe and Alternative Varieties Wine Show was held over 4 days in Bunbury at the Regional Entertainment Centre, in the last week of September 2018. 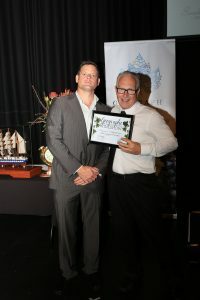 The team of judges was led by this years’ James Halliday Winemaker of the Year – Julian Langworthy. He was ably accompanied by well known WA wine industry identity, Erin Larkin and Brendan Carr, winemaker from Xanadu. 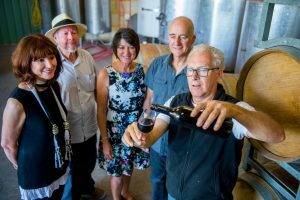 Over 180 wines were entered from across the Geographe Region for the regional awards, and included some great alternative varieties from across Western Australia for the alternative variety awards. Vineyard 28 was in good company. The standards were high and Vineyard 28 were pleased to achieve the results we did with our wines. Thanks must go to all the hardworking volunteers and the judges that make shows like this possible. Vintage – what is this exactly? What is this term Vintage ? – a thing of high quality and lasting value, or showing the best and most typical characteristics of a particular type of thing, especially from the past. – the wine made in a particular year or a particular year in which wine has been made. In the winemaking world the second definition is pretty close. The vintage is the year in which we harvest the grapes that go into a specific wine. An example is our 2015 Nebbiolo . We harvested theses grapes on the 27th March 2015. The first definition is also correct in that it also describes the best and most typical characteristics likely to be displayed in a wine. It personifies the weather conditions, the soil and winemaking processes that were used that year. All together they combine to become the vintage. 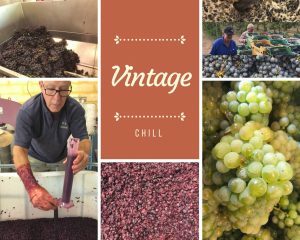 In our world we also use this term vintage to cover a season in our viticultural calendar. It is a time of year that winemakers across the globe refer to – we are in the middle of vintage right now. 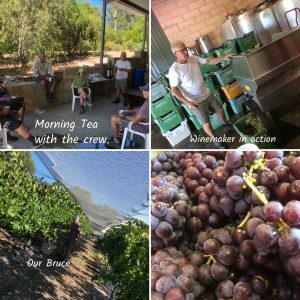 Meaning we are harvesting grapes and starting on the winemaking process. We tend to consider vintage to be over once the last grapes are harvested. The winemaking process still continues through until the wine is in bottle. The 2018 Vintage for Vineyard 28 commenced on 7th February this year, with the harvest of our Arneis grapes, and since then the Muscat and Dolcetto have also been picked. Most harvest days we start around 6am, and all our grapes are hand picked into fruit bins. These are collected and transported into the winery, where they are then destemmed and crushed, with the white grapes being pumped into the press or if it’s a red grape transferred into an open fermenter and left on skins commence fermentation. As all these processes get underway we start to build up a picture of what the resultant wine will be like. Cabernet Sauvignon and Nebbiolo are still on the vine ripening away. It is a combination of taste, seed ripeness, sugar levels and acid levels that determine when we will pick the grape. At this time of year Mark can be seen wandering the vineyard early in the morning sampling off the vine, collecting samples of grapes, crushing them, tasting and testing. 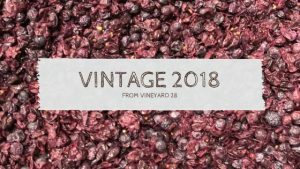 We look forward to sharing the 2018 Vintage journey with you and bringing you some awesome wines in the future. The 2017 Sauvignon Blanc Semillon has just been released and is now available online and at the Cellar Door. Both the Sauvignon Blanc and Semillon grapes are known for their origins in the producing wines from the Bordeaux Region in France. Here in Australia we often see the two grapes blended to create either what is known colloquially as SBS or SSB. This three letter acronym we’ve adopted in this country, all depends upon which grape is in the greatest quantity in the blend. Sauvignon Blanc dominant then it is called SBS, Semillon dominate, then we see SSB. A little known fact to many of the public is that once we use greater than 15% of another grape variety in a blend then we are required to list that variety on the label. Our pale straw coloured wine has been blended to gain optimum in flavour and balance but still maintaining the characteristics of Sauvignon Blanc. A clean crisp palate of crunchy apples and juicy limes, with a lovely freshy citrusy finish. Great to enjoy now as a light summer drinking wine.